Six years after their previous album, Heartbeats Accelerating, Kate and Anna McGarrigle returned with one of their finest, Matapedia. 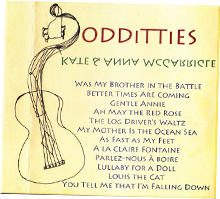 Recorded in the duo’s native Montreal, Matapedia features contributions from many of the musicians who have worked with Kate and Anna over the course of two decades. Though the women usually write apart from one another, the title song was written jointly, and is rich with a sense of homeland, time passing, and belonging. Melancholy has always fueled this music’s particular beauty, but the melancholy has always been tempered with a dreamer’s sense of hope and a romantic’s sense of love and caring. 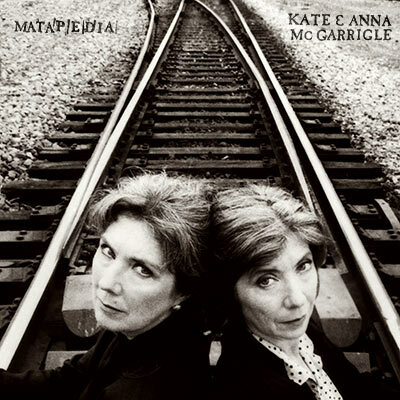 While their first two albums remain the works by which Kate and Anna McGarrigle are most well known, Matapedia deserves a place along side them. Principally recorded at Le Studio Morin Heights, Morin Heights, Canada and Studio Frisson, Montreal, Canada.